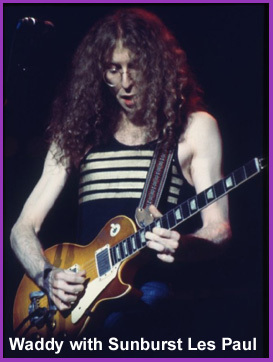 Waddy Wachtel first laid his hands on a guitar in 1956 when he was nine years old. After seeing a guitarist on television a few years earlier, he finally convinced his father to buy him a guitar. From the moment he placed his fingers on the strings, he knew there was nothing that could interfere with his burning desire to play that instrument. Being left-handed, Waddy started off playing the guitar upside down, but then he found a teacher, Gene Dell, who insisted he play it right-handed. it’s hard to imagine how a left-handed child would willingly take the pick into his right hand, but such was Waddy’s determination to play that he turned the guitar around and forced his right hand to perform. In no time Waddy had not only mastered the technique, but he’d learned all the exercises in the book and begged for more. That’s the beginning of the musical story of how Waddy Wachtel wouldn’t be distracted from what he knew he was meant to do with his life...... Play and create music. No matter what obstacles came in his way, he wouldn’t turn aside from what gave him the most enjoyment in life and what he simply HAD to do. A full biography of Waddy’s life will eventually be compiled in a book, but here’s a brief look at his life in photographs chronicling some of the major musical highlights. The wave of his talent and creativity keeps ascending and it appears there’s no end in sight to what this man will be able to accomplish. We’re all so very lucky that left-handed Waddy never gave up on his dream. He’s truly an example to all of us and a great inspiration. In the mid 1960's Waddy Wachtel formed a band in New York called The Orphans. They played cover songs at local gigs and did some performances in upstate New York and Connecticut. After that band broke up, Waddy returned to New York and formed a new band called Twice Nicely, who played gigs in Vermont. At the urging of Bud Cowsill (manager of The Cowsills), Waddy brought Twice Nicely to Los Angeles. Shortly after moving to L. A., Waddy disbanded Twice Nicely and struck out on his own. Bud Cowsill was thrilled to have Waddy involved in some of the Cowsills albums. 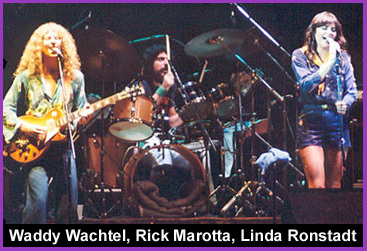 Waddy Wachtel found himself in the midst of the Los Angeles music scene when he arrived in So. Cal. from the East Coast the late 1960’s. This was the dawn of the era that birthed the careers of such performers as Jackson Browne, the Eagles, the Byrds, Carole King, Warren Zevon, Linda Ronstadt and many others. David Crosby was one of the first to recognize Waddy’s incredible talent on the guitar and encouraged him to venture out on his own as a session and live performer. 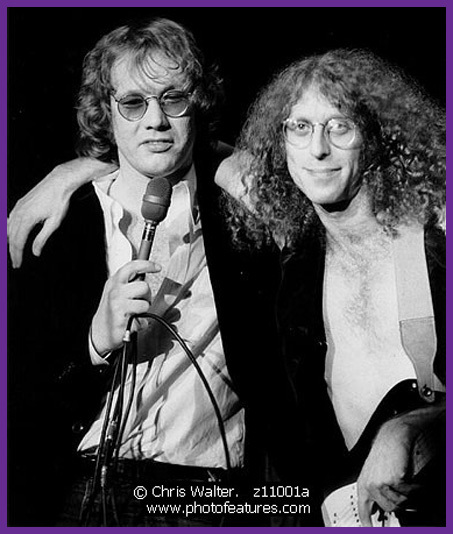 On an audition to play with the Everly Brothers touring band, Waddy met Warren Zevon who was the Everly’s band leader at the time and they formed an immediate friendship that would span the years of Warren’s life. Yes, Waddy got the gig on the Everly Brothers 1972 tour and played on their album "Stories We Could Tell." 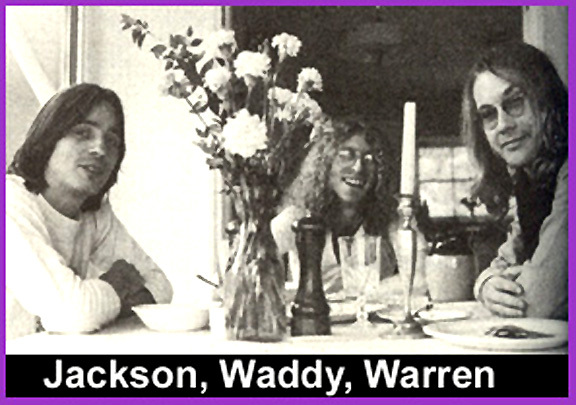 Waddy went on to write songs with Warren, play on his albums and tours, as well as co-produce most of his albums. Producers including Keith Olsen, Nikolas Venet and Lou Adler got very excited by Waddy's talent with the guitar and hired him for many sessions. Waddy also made a close connection with Lindsey Buckingham and Stevie Nicks in 1972, eventually playing on their Buckingham Nicks album in 1973. Also in 1973 Waddy released a single on Anthem Records, “You’re the One” b/w "Love You Should Save". He wrote the lyrics and music for both songs, sang the vocals and played all the instruments. Keith Olsen was the producer. Stevie Nicks and Lindsey Buckingham contributed background vocals on "You're the One." In 1974 he was asked to tour with Carole King and played on her 1976 album "Thoroughbred" and join her tour that year to promote the album. In 1975 he played on the Fleetwood Mac album. By this time his incredible guitar playing was recognized and requested by many producers and performers on their albums. 1976 found Waddy in even greater demand. His friend Jackson Browne brought him into the studio to play guitar on "The Pretender". He also recorded with James Taylor, Arlo Guthrie, J. D. Souther, his old friend Warren Zevon, and made his first recording with another person who would continue to cherish him over the years: Linda Ronstadt. While touring with Linda Ronstadt in 1978, one of their live performances appeared in the movie “FM”. Linda has included many of the songs Waddy wrote on her albums and had him play guitar on most of the songs on her albums as well. He toured with her extensively all over the world. During that same time Waddy was enlisted by Cheech and Chong to create and play music with them on their movie “Up in Smoke”. While touring with James Taylor in 1979 to promote JT’s new album Flag, Waddy also made the first of several appearances on the “Saturday Night Live” TV show that would span 10 years backing various artists on that show. 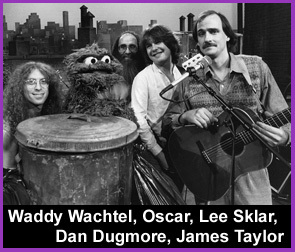 In 1982 Waddy, in the midst of another James Taylor tour, appeared with him on an episode of “Sesame Street” playing guitar on the song “Your Smiling Face” where he also got into an interesting conversation with Oscar the Grouch. In 1980, while still working steadily as a session guitarist and side man, Waddy took the time out to start his own band, Ronin, and record an album with old time friends Dan Dugmore, Rick Marotta, and Stanley Sheldon. 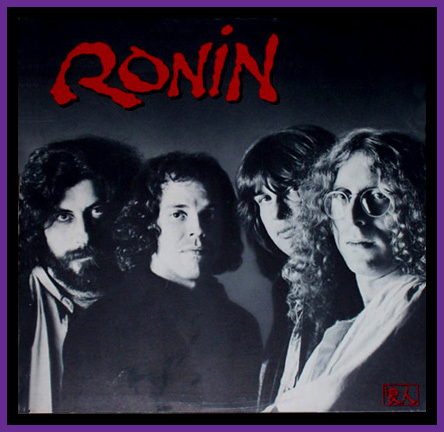 The Ronin album contained all original material, mostly written and sung by Waddy Wachtel, and the band also did a short tour. 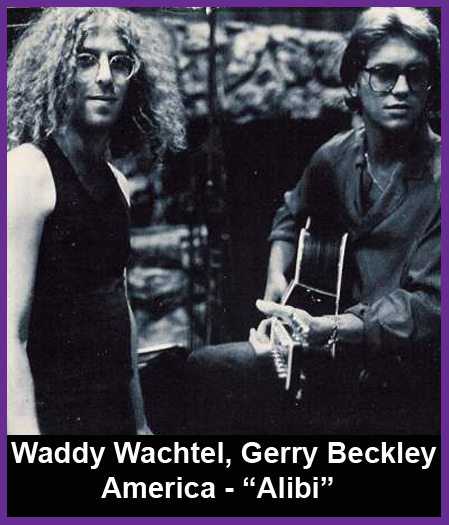 Also released in 1980 was the America album "Alibi" which featured Waddy on acoustic and electric guitar. Waddy didn't take a break, and he was featured in other releases in 1980 as well, including albums by Andrew Gold, Engelbert Humperdinck, Linda Ronstadt, and Warren Zevon. In 1981 Waddy was back into the studio to work on various albums with Kim Carnes, Ron Wood, James Taylor and Rita Coolidge. Then Waddy was contacted by his old friend Stevie Nicks to work with her on her first solo album Belladonna, and to assist her on her successful tour for the album. Waddy has continued to work with Stevie on all her projects as Musical Director, guitarist and harmony vocalist. Stevie admits she doesn’t know how she’d be able to do it without Waddy. 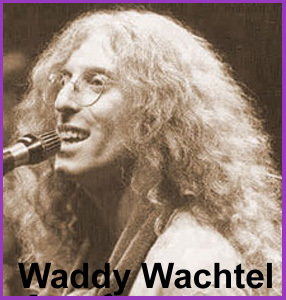 From 1982 to 1987 Waddy Wachtel was in demand for both session work and touring, working with old friends and new including Kim Carnes, Don Henley, Bill Medley, the Motels, Stevie Nicks, Dolly Parton, Pointer Sisters, Linda Ronstadt, Bob Seger, James Taylor, Warren Zevon, Marty Balin, Bette Midler, Randy Newman, Ringo Starr, Joe Walsh, Steve Perry, J. D. Souther, Jackson Browne, Brian Ferry, Graham Nash and Cher. 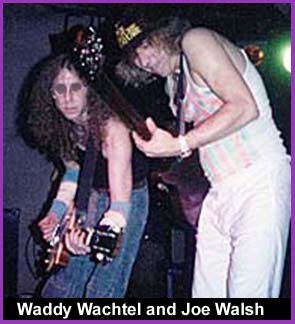 After working with Joe Walsh on his The Confessor album in 1985, Waddy Wachtel went on a short tour of Australia with Joe. Also joining them on that tour was bassist Rick Rosas and Aussie drummer Richard Harvey. The touring group was called the Creatures From America, and it was a full-on Rock 'n' Roll experience.